This woodcut, based on a drawing by A. Kircher, takes us inside Berlin’s central power station on Markgrafenstrasse. The shunting station can be seen at the top left. 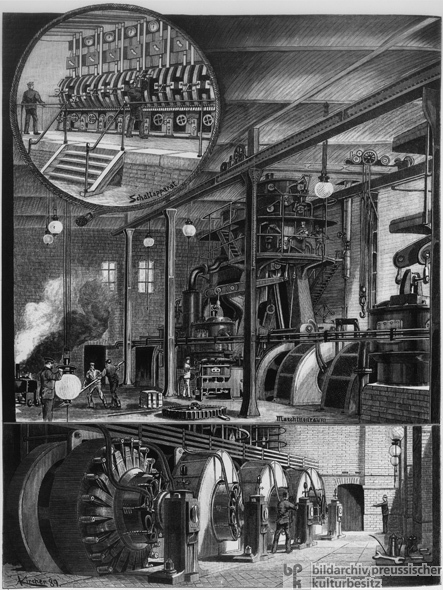 The machine room appears in the middle, and the bottom panel shows the dynamos that generated the electrical power demanded by the rapidly modernizing city.